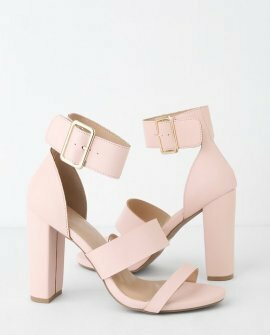 Buckle yourself into the best day ever with the Margaret Light Blush Ankle-Strap Heels! 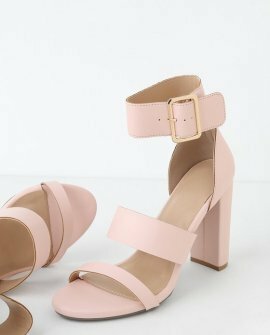 Smooth vegan leather, in a gorgeous light blush color, constructs a thin toe strap creating a cute peep-toe upper, and is tastefully paired with a matching vamp strap. A thick ankle-strap secures around the ankle with a gold buckle.